With more than 8 years experience and over 1000 happy customers, you can rest assured that the team at Displays Direct know what we’re talking about when it comes to exhibition stand design. Whether you’re presenting at a tradeshow, exhibition or some other event, we pride ourselves on being a one-stop-shop for everything you need to bring your booth to life. We also offer quick turnaround times for many products in our range, ensuring that your stands will arrive in plenty of time. All of our exhibition display stands are easy to set up and take down, either by one or two people. When you only have limited time to set up or pack up your booth, saving time wherever possible is essential. 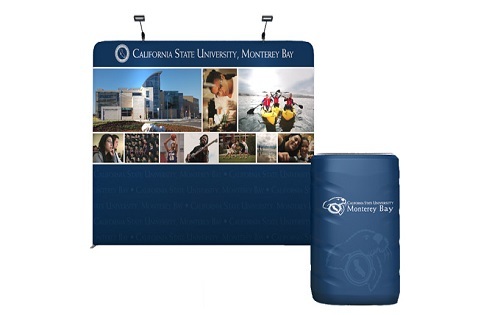 At Displays Direct, we pride ourselves on manufacturing durable stands that will last event after event. No one wants to purchase a new display after every tradeshow or conference, and we feel that you shouldn’t have to. Browse our extensive range of custom expo stands today and see for yourself all the ways that we can help you to stand out from your competition. 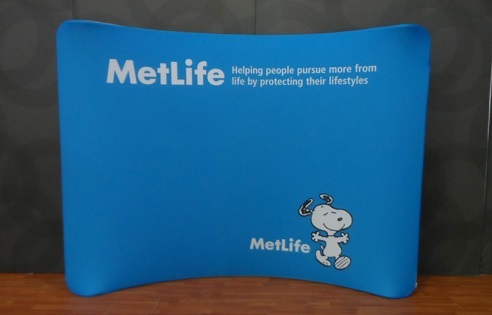 Our teardrop banners are a common fixture at all sorts of events, from outdoor markets through to indoor tradeshows. The graphics are double sided with a block out layer in between them, ensuring that there’s no “show-through”. 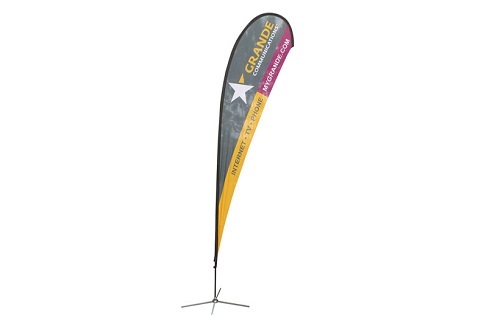 We have a variety of base options to choose from, enabling you to secure the banner outdoors or stand it up indoors. The great thing about our advertising banners is that they’re designed to be used inside or outside with ease – simply select the base that is most appropriate for the environment you wish to use them in. The banners themselves are incredibly hardwearing, ensuring that they will withstand the elements with ease and offer you plenty of uninterrupted use. Whether you require a backdrop for photos (as seen on the red carpet) or for a press conference, our range of custom media walls are the answer. These large banners can have a logo or business name repeated ad nauseam across the surface, ensuring that everyone who views the photograph or telecast is well aware of your brand or sponsorship. 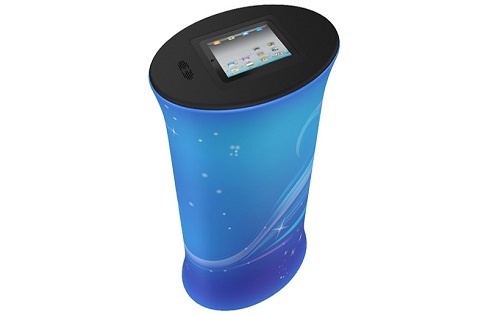 In this age of technology, it’s no uncommon to want to incorporate iPads and other screens in our booths. Fortunately, our range of iPad display stands makes this possible without fear that the device will be stolen or accidentally broken. The iPad is housed in the top of the stand, inside a void that is specially designed to lock it in place and even keep it charged! 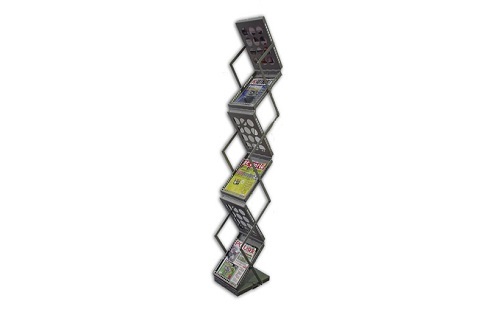 Ensure that your marketing material can be easily accessed and is visually appealing thanks to our range of brochure display holders. We have a variety of products to choose from, including: single sided, double sided and combination brochure/banner stands. 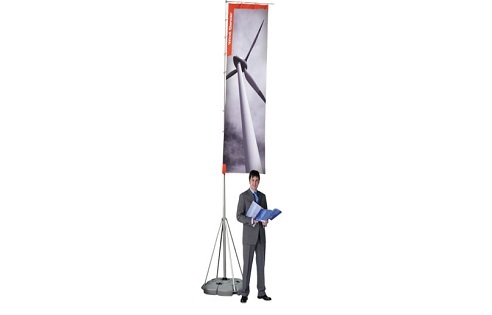 As well as being portable and lightweight, these stands will suit a variety of environments. Our wide range of exhibition displays offers the very best in portability and visual impact for any event or application. They can be used for a variety of purposes (such as press backdrops, foyer displays and media walls) and they fit neatly into a wheeled carry case when not in use, ensuring that they can be transported with ease.